Leighton Buzzard Rugby Club start their season this Saturday (August 11) with an warm up match away against Luton. In the following weeks Buzzards play Letchworth and Fullerians before their first Midlands 1 East league match away at old rivals Wellingborough on Saturday September 1. 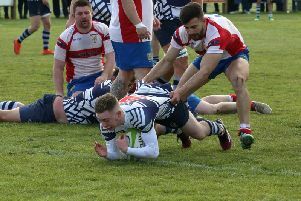 This season, experienced fly-half and centre Jack Whitehouse leads Leighton Buzzard, who are playing level 6 rugby for the fifth successive season.